Raise your hand if you love summer squash (both of mine just went up!). As we plunge headfirst into the summer months, I’m noticing that the produce section is bursting with beautiful zucchini. 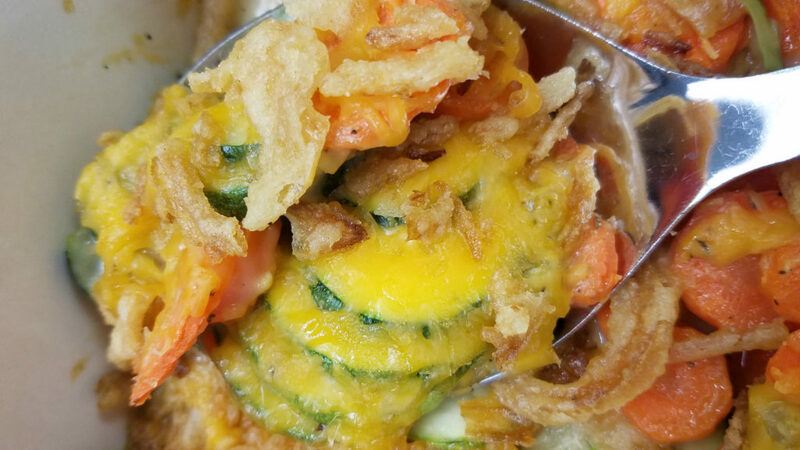 There’s so many different ways to use this versatile squash that I thought I’d share some of my favorite summer zucchini recipes with you. 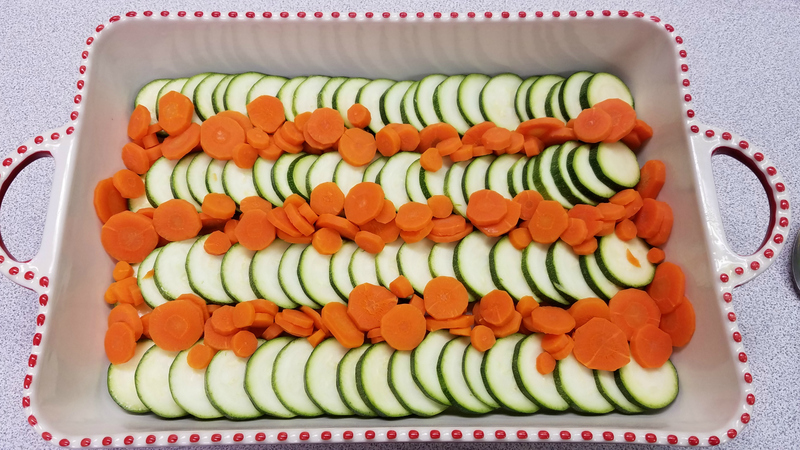 Today I made a Zucchini and Carrot Casserole that’s guaranteed to be a hit. 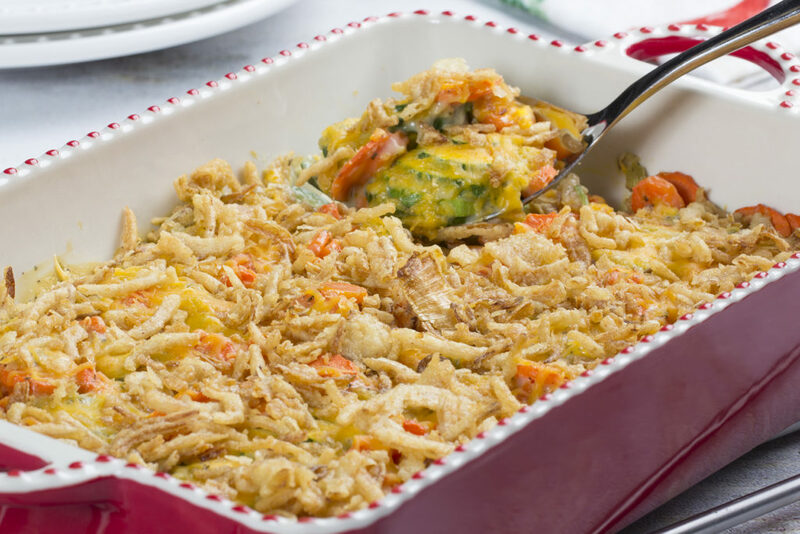 I mean, who doesn’t love anything with cheese and fried onions in it? I’ll show you how to make it, but first, here are some of my other favorite summer zucchini recipes, so you can enjoy this summer squash while they’re at their peak. 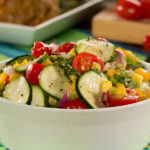 Fiesta Zucchini Salad – This farm-fresh salad features zucchini as the star of the show and then uses tomatoes, onions, peppers, and corn to make it a fun, colorful dish to serve at your next summer get-together. And here’s another great salad option – Summer Zucchini Noodle Salad. It uses spiralized zucchini instead of noodles! 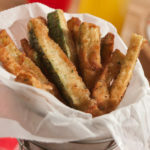 Crunchy Zucchini Strips – Put down those fries! 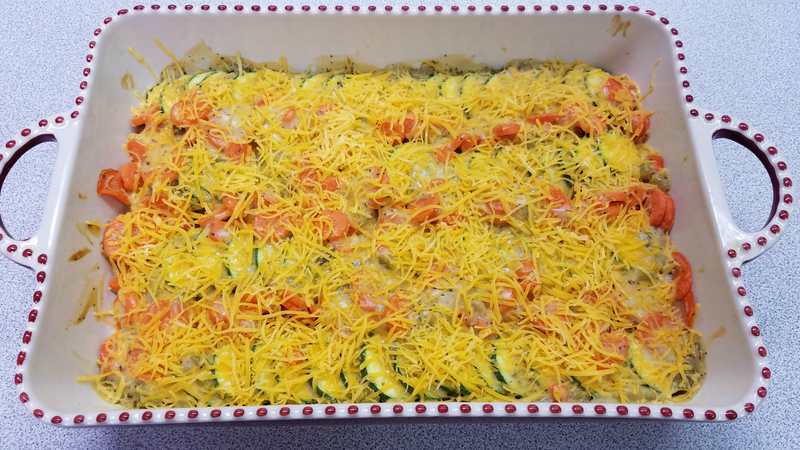 This healthier option of crispy baked zucchini is sure to satisfy your craving and won’t leave you feeling guilty. 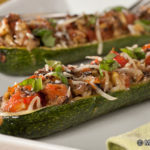 Italian Stuffed Zucchini Boats – Pretty enough to be the centerpiece of your plate, these stuffed zucchinis are a creative way to get your daily dose of veggies. 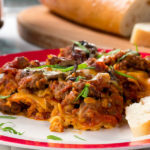 This is a great Italian-style recipe! 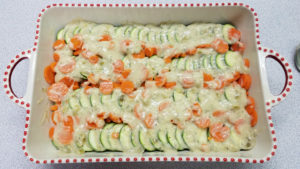 Muffin Tin Meat Loaves – No, really … there’s zucchini in it! 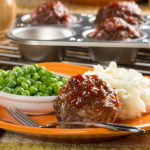 These individually portioned meat loaves are the perfect way to sneak veggies onto the plate of the pickiest of eaters. This is one of my favorite zucchini recipes. 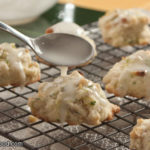 Glazed Lemon Zucchini Cookies – Did you know you can even put zucchini in your desserts? These lemony cookies are super moist and tasty. If you want to try another great baked recipe, check out our Super-Moist Zucchini Bread. Who knew there were so many ways to enjoy zucchini? 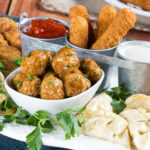 If those summer zucchini recipes weren’t enough, you can also check out our collection of Garden-Fresh Zucchini Recipes where you’ll find lots more. 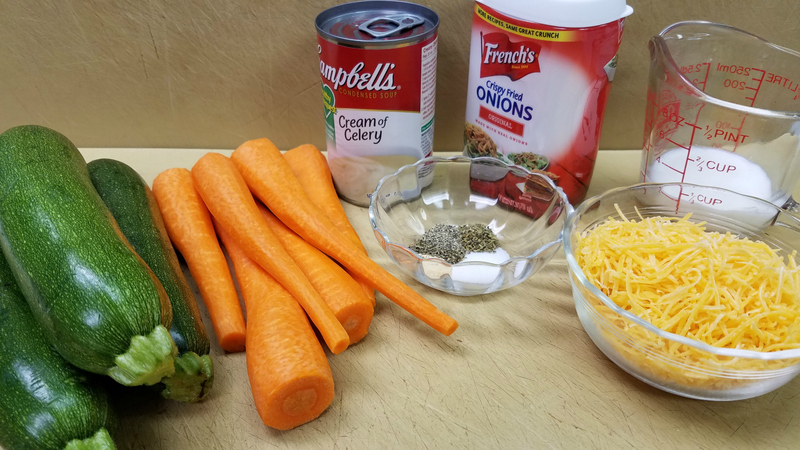 This simple recipe calls for zucchini and carrots (I know you’re shocked, since it’s in the name), as well as a can of cream of celery soup, some spices, milk, cheese, and fried onions. I’ve also made this with cream of mushroom soup and cream of broccoli soup, and it comes out just as delicious, so use whatever creamy soup you have on hand. 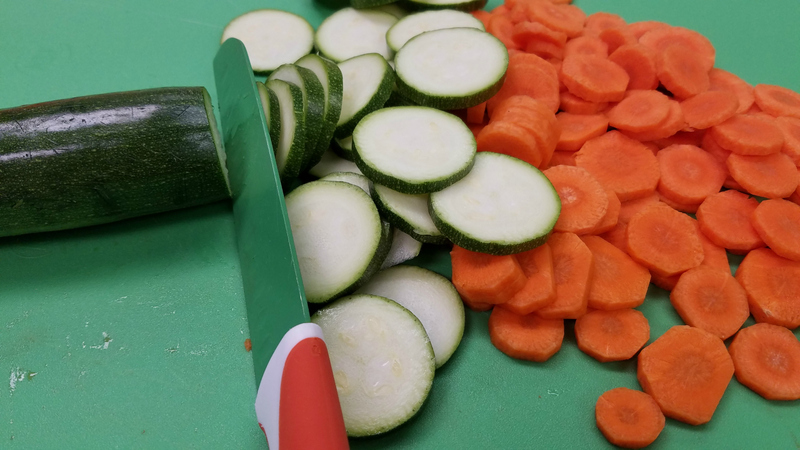 You’ll want the zucchini to be about 1/8th of an inch thick and the carrots to be even thinner so that they cook evenly. If you happen to chop the carrots too thick, simply plunge them in boiling water for about 4 minutes so that they can get a little tender. 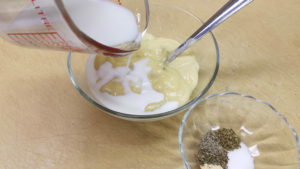 Mix together the soup, milk, and spices and spread it evenly over the veggies. 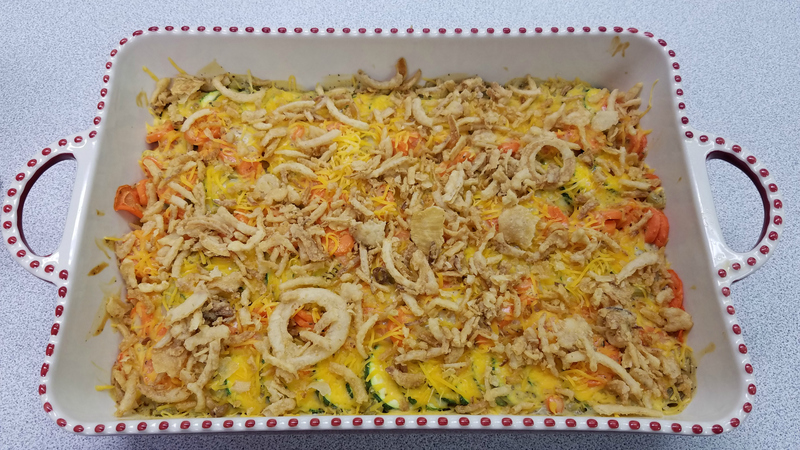 Pop it in the oven for half an hour and then top it with the cheese and fried onions. Put it back in the oven for another 5 minutes, so that the cheese can melt and the onions get a little brown. Isn’t it pretty?! Feel free to change this up by adding some yellow squash. Also, if you have it, fresh basil is always a nice touch. Just don’t plan on having any leftovers because it’ll go fast!